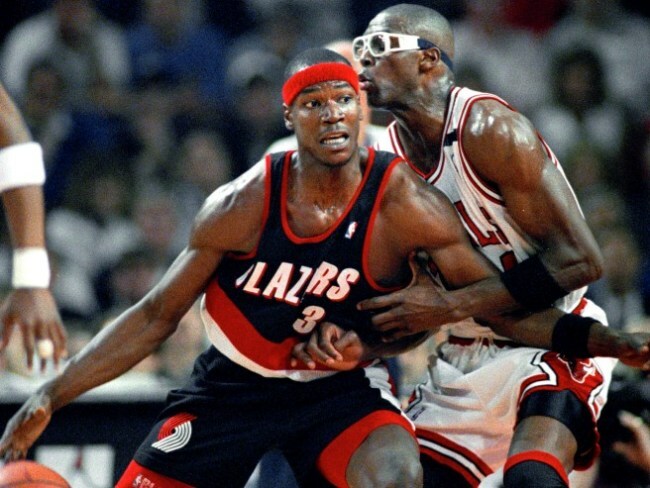 Remember Cliff Robinson? The sharpshooting power forward was ahead of his time in the NBA, making the 1994 All-Star game and enjoying a long, productive career. Here’s a career update: The player once known as “Uncle Cliffy” now goes by “Uncle Spliffy” — he’s a marijuana activist in Oregon. Robinson will be a featured speaker before 2,500 guests at the 2016 Cannabis Collaborative Conference in Portland on Feb. 3 and 4, according to the Portland Business Journal. Robinson played 18 NBA seasons between 1989 and 2007, scoring more than 19,000 career points. Oregon voted to legalize recreational marijuana in 2014. Colorado, Washington and Alaska have also legalized recreational use. As noted by the Portland Business Journal, Robinson’s endorsement of cannabis likely makes him the highest-profile active or former athlete to do so in such an open and measured way. Robinson was suspended for five games by the NBA in 2006 for violating its anti-drug policy. That suspension, which Robinson says was the result of smoking cannabis, came in the 2006 playoffs. It robbed Robinson’s New Jersey Nets of a crucial option, and the team ended up losing without him to the Miami Heat.